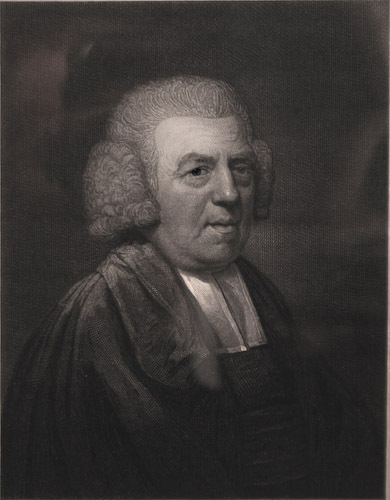 England’s great Christian reformer in Parliament felt weary from the long battle to stop his country’s slave trade. He carefully opened and read the creased letter he’d taken from his Bible. He let the words soak in: “Unless God has raised you up for this very thing, you will be worn out by the opposition of men and devils, but if God be for you, who can be against you?” Those words from his deceased friend, John Wesley, boosted William Wilberforce back into the fray with a fresh sense of God’s guidance. William’s perky personality made him a popular student among his Cambridge classmates. He and best friend, William Pitt, set political careers as their goals. Their idea of a fun evening was watching debates at the House of Commons. After graduation, both pursued politics. At twenty-one, William Wilberforce won election to Parliament, representing Hull county. Four years later, in 1874, his friend William Pitt was elected England’s prime minister. The young Wilberforce then won the influential Yorkshire seat. During the day, he excelled at speaking and, after hours, proved entertaining at meals and parties. But he lacked real purpose, which he was about to discover. On a vacation with family members, William became reacquainted with his childhood schoolmaster, Isaac Milner. They began a discussion that led William to recall his early religious training and sent him searching the Bible. When he was eight years old, he’d lived with an aunt and uncle who had told young William about the evangelist George Whitefield and introduced him to the converted slave trader, John Newton. Studying the Bible led to William’s spiritual conversion. He then visited his old friend John Newton. John advised him to remain in politics where he could do the most good for God and for his country. Seeing the world around him with new eyes, William wrote in his journal, “God has set before me two great objectives: the abolition of the slave trade and the reformation of manners.” Along with a group of like-minded Christian leaders, he worked feverishly to build a strong case against England’s slave trade. 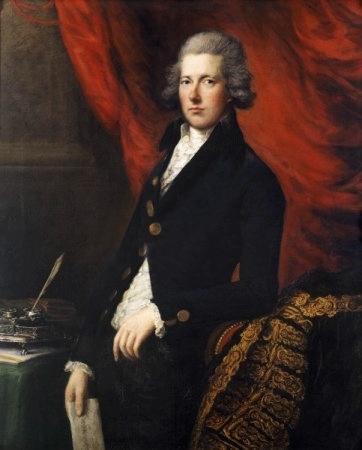 By 1788, the strain of William’s passionate efforts brought on an illness that prevented him from personally initiating the abolition issue in Parliament. Prime minister Pitt launched the debate for his old friend. The opposition quickly reared its head in defiance. Capturing and selling African slaves was profitable. The political war for human lives and freedom raged into the 1790s. Mean-while, there was William’s other moral objective. He was appalled at the proliferation of certain vices in society. He prayed, researched, and met with King George III. Precedent had been set with previous monarchs to call their sub-jects back to living moral lives. In 1787, England’s king issued the Royal Proclamation. Part of the ruling outlawed gambling, swearing, and drinking on Sunday. William went a step farther. In 1789, he co-founded the Society for the Reformation of Manners. His Christian faith reached out to England’s orphans, military personnel, and chimney sweeps. William financially backed his convictions; he channeled a quarter of his yearly income into causes for the poor. 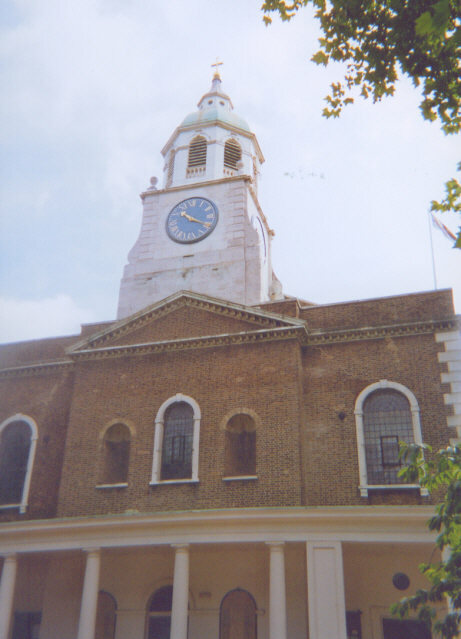 Clapham Holy Trinity Church, which William attended. Image by Stephen Craven copyrighted and licensed for reuse. In 1797, the busy politician married Barbara Spooner . They made their residence in the southern part of London, joining the Christian community at Clapham. The group called the “Clapham Sect” included other politicians and well-to-do business leaders whose faith spurred them to social activism. That same year, William published a book with a big challenge and long title. The title boils down to A Practical View of the Prevailing Religious System . . . Contrasted with Real Christianity. (The full title, A Practical View of the Prevailing Religious System of Professed Christian in the Higher and Middle Classes in This Country Contrasted with Real Christianity, is available today from various publishers). He pulled no punches, comparing the nominal faith of his day with Biblical-based Christianity. It was a clear call to repentance and faith in Jesus Christ. The book quickly became a best-seller. It stirred its readers. It impacted the church world of his day. God had used William to accomplish half of his life’s two great objectives. 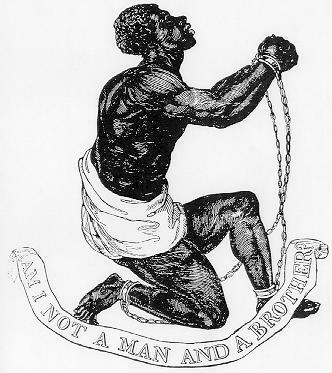 Year after year, William introduced anti-slavery bills in Parliament. In the closing years of the 1700s, he fought political red tape, bouts of ill-health, and hindrances caused by the French Revolution. The war against buying and selling human beings raged on into the 1800s. Sadly, one of the factors that turned the tide was the death of his good friend, William Pitt. The new prime minister, William Grenville, a strong abolitionist, helped move the anti-slave trade bill forward. Yet, slavery still existed. While taking a stand for the defense of other groups within England, William pursued the issue of slave emancipation within England’s territories. His health grew worse. He retired from Parliament in 1825, pleased that God had raised other political leaders whose faith kept them engaged in the battle. William Wilberforce statue at Westminster Abbey. In the summer of 1833, Parliament reached an agreement; it passed the Emancipation Act in August. William heard about it and rejoiced. That same week, on August 6, 1833, William Wilberforce slipped into eternity. His peers gave him the honor of burial in Westminster Abbey, next to his lifelong friend, William Pitt. William Wilberforce had served God well, not only against the inhumane slave trade, but in helping establish a series of social reforms. God had given him a mission statement. He had spent his life fulfilling it. LET ME KNOW: How has William’s story informed, encouraged, or otherwise helped you? I welcome your comments. “William Wilberforce.” Christian History. Vol. 16. No. 1, 1997. Pollack, John C. “William Wilberforce.” In Great Leaders of the Christian Church, edited by John D. Woodbridge, 302-312. Chicago, Illinois: Moody Press, 1988. Colson, Charles. “William Wilberforce.” In Chosen Vessels, edited by Charles Turner, 41-70. Ann Arbor Michigan: Vine Books, 1985. Belmonte, Kevin. 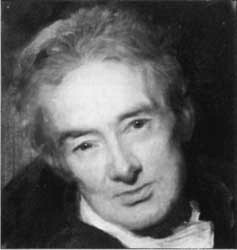 William Wilberforce: A Hero for Humanity. Grand Rapids, MI: Zondervan, 2007. Hague, William. William Wilberforce: The Life of the Great Anti-Slave Trade Campaigner. Orlando, FL: Houghton Mifflin Harcourt, 2007. Metaxes, Eric. Amazing Grace: William Wilberforce and the Heroic Campaign to End Slavery. New York, NY: HarperCollins, 2007. Amazing Grace. Directed by Michael Apted. Twentieth Century Fox, November 2007. DVD. “Amazing Grace movie -last scene- youtube video, 10:56. Posted by retroman252 on July 15, 2012-http://www.youtube.com/watch?v=TNILAcjn1xE&feature=related. “Wilberforce Weekend 2012” youtube video, 2:51. Posted by ColsonCenter on January 27, 2012-http://www.youtube.com/watch?v=jMWlSeZfyRY&feature=related. “William Wilberforce: The Liberator” youtube video, 1:06. Posted by tiqvah7d on February 16, 2010- http://www.youtube.com/watch?v=3f0IuC6mEa4. “William Wilberforce – The Great Debate” youtube video, 1:49. Posted by deptimage on October 21, 2006-http://www.youtube.com/watch?v=_o8R9BVqQr8. Find other resources at http://www.wilberforcecentral.org/wfc/Resources/index.htm. This entry was posted in Author, Social change agent. Bookmark the permalink.